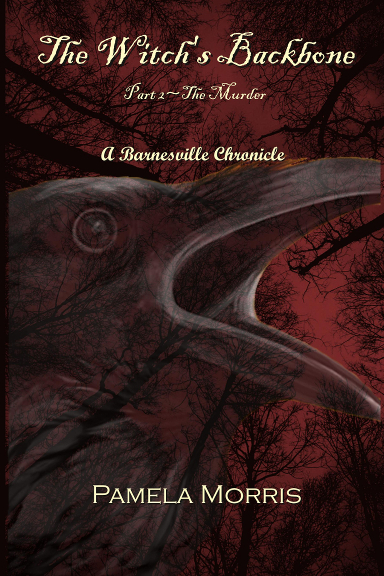 It seems so long ago that I first introduced the people of Barnesville to the world by way of murder. 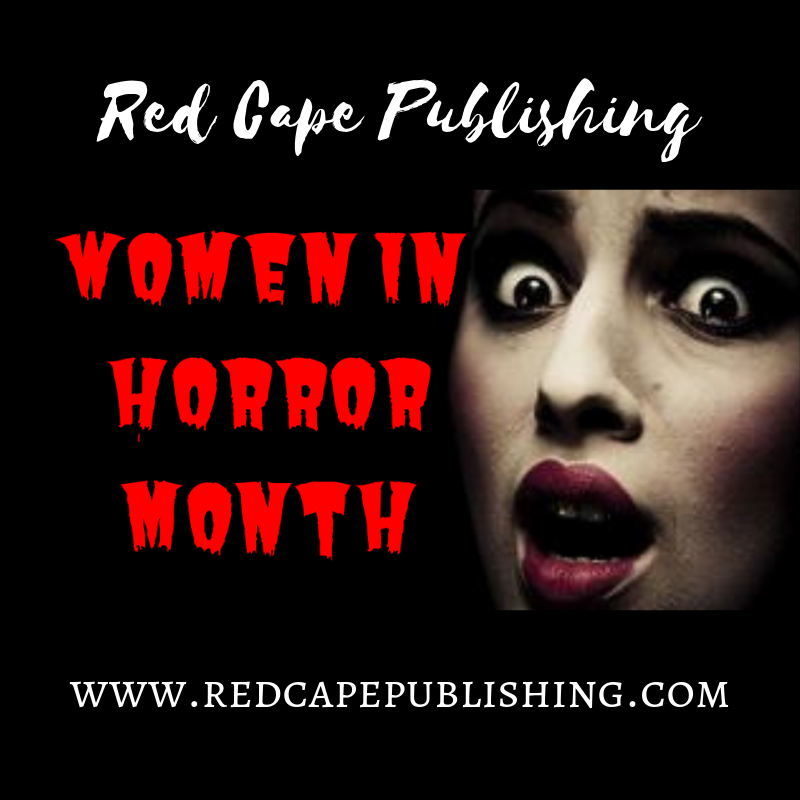 “Secrets of the Scarecrow Moon” (originally titled “Blood of the Scarecrow”) was the first novel that took me away from the erotica I’d been writing prior. 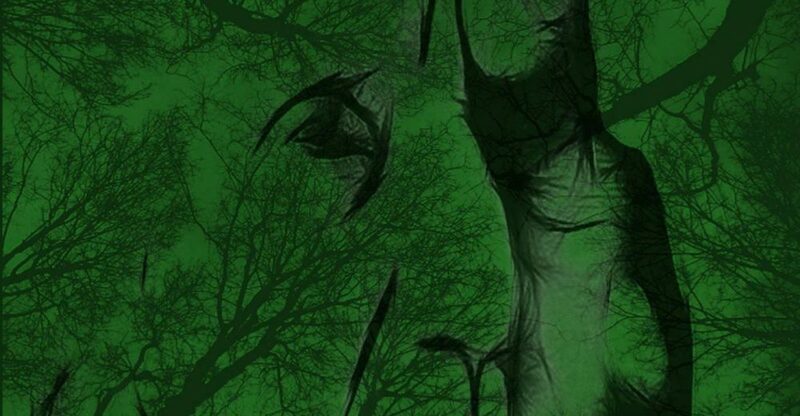 It was my first attempt at a murder-mystery and brought me blessedly back to my life-long love of the paranormal and horror. Though it’s probably not my greatest work, I learned a lot by writing it. It verified that this was the genre I truly wanted to work with and hopefully be known for. 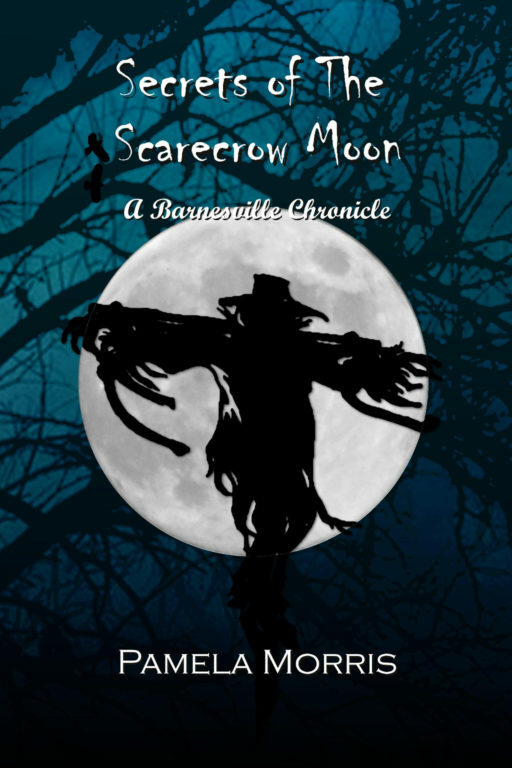 “…Scarecrow Moon” was originally released in 2013. 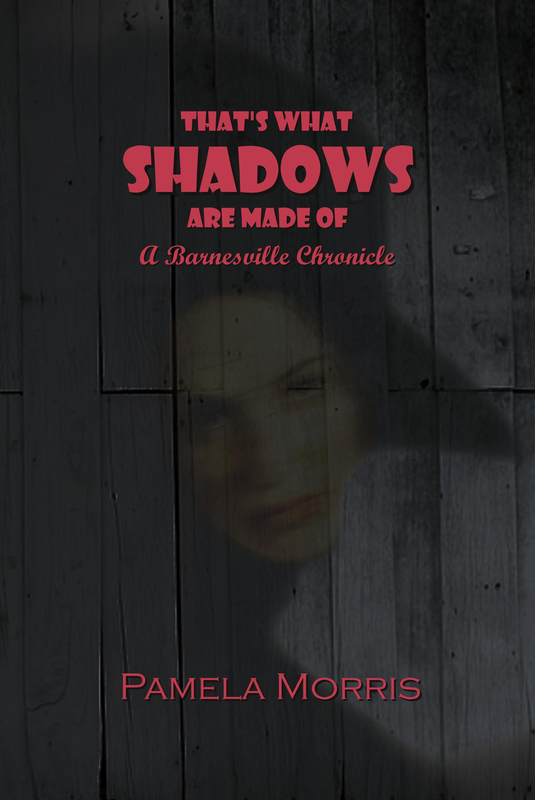 My second book that featured Barnesville was “That’s What Shadows Are Made Of”, again a paranormal murder-mystery and, dare I say, a more well-thought out one than “…Scarecrow Moon”, and came out in 2016. I was gaining a small following by this time. People were asking for the second book and when they finished, they’d reach out and ask for a third. As writers, we learn as we go. We learn what works for us and we learn what our readers want. I always knew there would be more stories coming out of Barnesville and its neighboring towns. With so many asking to know more about the residents and what would happen next in such an innocent-looking town, I began to give the third book more serious thought. Along with the paranormal, I’ve also long had an interest in urban legends, their origins and the truths that may or may not lie behind them. With that in mind, “The Witch’s Backbone” came into being. It’s been a year since I started and I’m super excited to be able to now share with you the fruits of my labors. Within the next couple of weeks the third book involving Barnesville will be unleased on the world in both eBook and paperback formats. “The Witch’s Backbone” is not a murder-mystery nor is it contemporary. Instead, we take a step back in time to 1980, meet new characters from the nearby hamlet of Meyer’s Knob, and see familiar faces turned some thirty years younger. 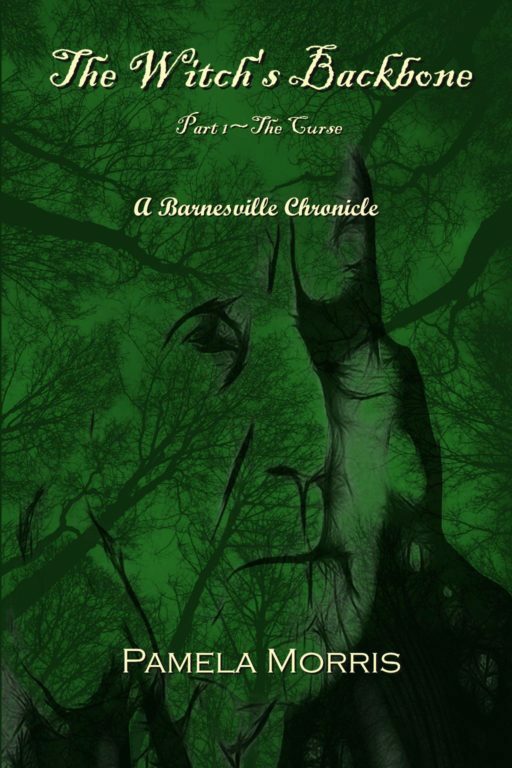 And so, without further ado, I give you the first two chapters of “The Witch’s Backbone – The Curse” as a teaser into what you’ll be finding between the pages of the next installment of The Barnesville Chronicles. Enjoy! and draws from thee thy final breath. The open mouth of the bottle of Dr. Pepper nearly knocked Tara’s two front teeth out. “Jeeze, Dad!” she yelped, eyes watering with pain, as she pressed her palm to her mouth where the glass edge had smacked her in the gums. There wasn’t any blood on her fingers when she pulled them away, but it sure felt like there should be. “Sorry,” John Fielding, her step-father, didn’t take his eyes off the rut and mud-filled road they followed, but he did slow the station wagon down a little bit. “You’d think the town would maintain this road better.” John eased the car to the right, halfway into the tall weeds and dangerously close to the water-filled ditch on that side, trying to avoid another tooth-jarring pothole. Tara rubbed her teeth again, checked her fingers, still no blood, and rested the bottom of the soda bottle on her thigh instead of trying to take another swig. “It gets better,” she said. This wasn’t their first trip down this particularly terrible stretch of road and it wasn’t likely to be their last. It was a dirty, stinky, nasty job they had to do, but Tara loved every filthy second of it, especially if she got to see a rat. In the isolated hills and valleys of the Appalachian Mountain Basin in Central New York sat Meyer’s Knob, where the population of dairy cows easily outnumbered people twenty to one. Most folks simply called it The Knob. In The Knob creative road names were not something the locals had much interest in. The names, like the residents, were practical, logical, and to the point. It was exactly what the name said it was, nothing more, nothing less. Valley Creek Road ran north and south of the central hub of Meyer’s Knob and took you down into the valley on a road that, more or less, followed the long and lazy curves of the creek. Gorge Hill Road took you east, up over the hill then down into a narrow, tightly winding road that had been cut by both God and man, with high stone walls on one side and a shallow, shaded ravine on the other, guardrails optional, and enough blind curves to make your tense jaw ache. Old Sixty-Seven Road, the only road known by an actual number, was about as obscure as things got. Old Sixty-Seven took you further out into a countryside of rolling hills and farmlands west of Meyer’s Knob. For close to twenty miles farmhouses and the barns that went with them, fields of corn, and herds of grazing black and white dairy cows, stretched out as far as the eye could see. Even when you reached the end, the town you’d find there wasn’t much to look at. It was bigger than Meyer’s Knob, but most places were. These three main thoroughfares were paved, but lacked center lines. That was not always the case with the rest of the nearby roads, many of which proclaimed the status of Seasonal, Limited Use. No Winter Maintenance. Surprisingly, the road Tara and her step-dad bounced and swerved down was not one of them. Town Dump Road was a dead end offshoot of Knob Hill Road that eventually connected to Gorge Hill, which was a branch of Meyer’s Road, where the sons of Silas Meyer, who had first settled The Knob back in the early seventeen hundreds, built their homesteads and raised their families for generations. If you stood at the junction of Valley Creek and Old Sixty-Seven you’d find yourself smack dab in the middle of The Knob. The tree-filled village square and the houses that surrounded it had not changed in over a hundred years. You’d never know by looking at it, but the newest structure was the white pavilion in the very center of the square, and even that was pushing thirty years old. The original had been destroyed by fire. Arson was likely, but no one had ever taken the blame for it. Its replacement was a clone, right down to the green gingerbread trim, and still took center stage to every village-wide celebration or event. It was the sight of first kisses and just as many broken hearts. People had fought and people had made out, all under the octagonal roof. Strolling from pile to pile, Tara kept an eye out for just about anything. Sometimes there was hidden treasure. Sometimes there was nothing. Today felt like a nothing day. She’d reached the furthest point from the front gates by now. Her dad’s car was parked near the pick-up whose occupants were finally done and climbing back into the cab. Dad only had a few bags so he wouldn’t be long. It hadn’t really been enough time to look the place over very well, but Tara could always ride her bike up to come back later in the week. Maybe she could even get a friend to come with her. Maybe Danny as long as it was just him and not his annoying brother or, God forbid, his whiny girlfriend, Susan; not Sue, not Susie, but Susan. Shoving the spoonful of Fruity Pebbles into his mouth, Danny eyed the sunburst-shaped clock over the kitchen sink tick dangerously close to nine o’clock. Milk dribbled down her chin followed by a resounding slurp. “Slow down,” his mother chided. “Breakfast!” she shouted towards the kitchen porch where Danny’s father stood puffing on a cigarette and drinking coffee from a chipped, mint-green cup. She set the plate of steaming eggs and bacon down across from where Danny was lifting the empty cereal bowl to his lips and guzzling down the sweet, pink-colored milk. “What’s the rush?” Danny’s mom asked, reaching for the toast that had nearly thrown itself from the chrome toaster and onto the counter without human assistance. “Tom and Jerry,” he explained. Danny pushed away from the table and retreated towards the living room where the summer sun was just starting to shine through the blinds, drawing bright lines and dust motes across the front of the television. “Mom! Tom and Jerry!” he protested. “Rinse out the bowl or no television,” she added. The screen door released a resounding smack against a wooden doorframe as Henry, Danny’s father, stepped into the shade of the eat-in kitchen of the log cabin. Grampa Jameson had built the place back in the 1950s. There were only four rooms, but they were plenty big enough for the family of four. The whole front half was wide open, kitchen bleeding into a dining room, bleeding into the living room, with walls of exposed pine logs that still had all the bark on them. It was a pretty cool place to live and they had acres and acres of woods to play in all around. It didn’t get too much better than this. “Gonna be another hot one,” his dad said. “Hey, Dan-o.” He reached out his big paw of a hand and messed Danny’s hair more than it already was. “Hey, Dad.” Danny grinned up at the man. Henry Jameson was a decent guy and, unlike a lot of his friends, Danny really liked his parents. Oh, they were annoying sometimes, too, but he knew how lucky he was to have them. They came to all his football games. Danny loved anything and everything that had to do with football. He played it, watched it, lived and breathed it. When the season was over, Danny got antsy. Luckily, there was one thing he liked just as much as tossing the pig skin around, hunting. He’d finally gotten his own rifle for his birthday that past spring and had been practicing a lot. As soon as deer season started, he was going to be out there with his old man every chance he got. Danny looked longingly towards the living room where his kid brother had already claimed the sofa to watch cartoons from. Each precious second of Tom and Jerry was slipping away. He shrugged, “I dunno. Tom and Jerry,” he said, desperate to get into the living room. Henry settled into the squeaking wooden chair. “Looks good, Peg,” he said. One of these days Danny was sure that chair was going to collapse under Henry’s generous frame. He was a big man, tall and beefy with a shock of pitch black hair. He’d played a lot of football in his high school days. Danny could but hope he’d be that big eventually, though as it looked now, he took more after his thinly built mother than his dad. His stupid little brother was the husky one. Danny took this opportunity to dash into the living room, punch his brother in the arm for taking the sofa spot, and plop himself down in his dad’s recliner to focus on the cartoon. The recliner was better than the sofa anyway. “Did not.” He reached out and nudged his brother in the head with an extended foot. “Popeye is lame,” Danny snapped. “She says it’s urgent,” John held the phone out; its long, spiral tail bouncing across the kitchen table now spread with newspapers. “Dad, we watched Scooby-Dumb last weekend.” Adam stormed off the couch, tripped over his brother’s extended foot, sprawled on the floor with a scream and got up swinging. From the chair, Danny grabbed Adam’s arm and yanked it back, forcing his younger sibling to twist around uncomfortably. “I saw her,” Tara was practically whimpering. He sank down in the kitchen chair, bowing his head and lowering his voice. His dad’s gaze pulled from the sports section and studied Danny with brief interest. “You mean Rebekkah, her? Where? When?” Danny asked, not quite believing. “It wasn’t Bigfoot. I wish it was a Bigfoot! I thought it was a bear, but then it … she turned around and looked at me. She looked right at me!” Tara’s voice shook like she was about to burst into tears. His dad looked up again, eyebrows arching, but instead of saying anything about Danny’s swearing, he reached for his cup of coffee. “Do you want to?” Peg took off her apron and hooked it on a knob beside the refrigerator eyeing her eldest with surprise and suspicion. “Um, I guess,” he lied. He hated Sunday school, but Tara sounded desperate and maybe if he went voluntarily they’d be allowed to hang out at the gazebo instead of going to church. “Tara wants to know.” Danny offered a weak smile. “Yeah, I guess.” He could tell she wasn’t any happier about it than he was, but they really didn’t have a choice. Of the five Delanio children, Anthony Delanio was dead center. At eighteen, Constance was the oldest followed by sixteen-year-old Albert, then Tony, who was fourteen. Beneath him Roberta came in at ten and the baby, Mario, was all of six. With Nonna and Nonno Delanio still living at the family homestead, a five bedroom farmhouse that had been in the family since 1915, it was always full and never quiet. Connie, as Constance was called, was the only one lucky enough to have her own bedroom. Tony shared his room with Bert. The two youngest had the room right across the hall from their parents, Batista and Maria. His grandparents got the largest bedroom at the front of the house. All this and only one bathroom. Because of that, there was never a dull moment come Sunday morning, until, that is, Tony found himself sitting in a Sunday school classroom. He had no choice. If you were a Delanio, you went to Sunday school and church and any other public event associated with St. Matthew’s Episcopal whether you wanted to or not. Tony stared at the chalk board scribbled with Scripture notes about this week’s topic, Sloth. The teacher was on a Seven Deadly Sins kick this summer and they had three more sins to go after this. Tony was pretty sure he didn’t have time to be slothful. Nonno and his dad made sure of that. There were more than enough farm chores to keep the entire family busy all day long. The arrival of regular school was a blessing, not that he was the greatest student in the world. He was doing well enough now to stay on the baseball team and out of trouble and that’s what mattered. Fourth grade had been rough. He’d been held back. The good part of that was he’d gotten to know Danny better. Danny was still a year behind Tony, but neither cared and it suddenly became acceptable for the two of them to hang out. Tony felt a sharp jab just below his right shoulder blade, jarring him into some sort of attention. He sat up a bit straighter, pretending interest in Proverbs 13:4 and something to do with a diligent soul being wealthy. The jab came again, then a whisper from a female voice behind him, “Note from Danny,” it side. Tony’s hand rose to scratch at a non-existent itch on his shoulder and pulled away with a small piece of paper folded in half inside. Tony glanced left over his shoulder then his right before finding Danny. Tony gave him a single nod. Message received and acknowledged. Tara, who sat beside Danny wasn’t looking so hot. Susan, on the other hand, was looking exceptionally well. Yeah, she was Danny’s girl and Tony wouldn’t dream of coming between them, but man, what a fox. Man, that Danny was one lucky dude. “I thought it would never end,” Tara moaned. “We got Dum-dums,” Adam boasted, the white stick of his reward poking out of the corner of his mouth, his legs swinging and dangling over the edge of the railing he sat on. “How appropriate,” his brother replied. “Who?” Susan slid her hand through the loop of Danny’s arms created by his hands being shoved deep into his pant’s pockets. “The witch.” Tara could barely talk. “So, now what? You keel over dead or something?” Susan snickered. “What witch?” Adam asked, sliding the sucker out his mouth. “Everybody knows about the witch,” Tony added. “Why do you think they call it The Witch’s Backbone down there if there ain’t no witch?” Danny went on. 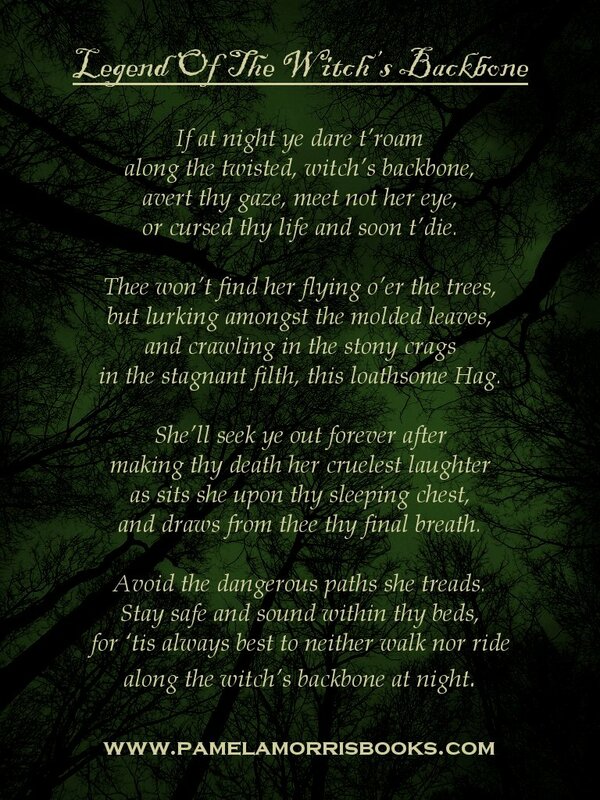 “The legend says if the witch makes eye contact with you, you’re going to die a horrible and early death. She’s supposed to live somewhere down in the gorge. I guess she hangs around under the bridge just before the really narrow part opens up or something,” Tony explained. “Would have been cool to see a bear,” Adam added. “It wasn’t, though. It was her and she was wearing some sort of weird-looking hat. 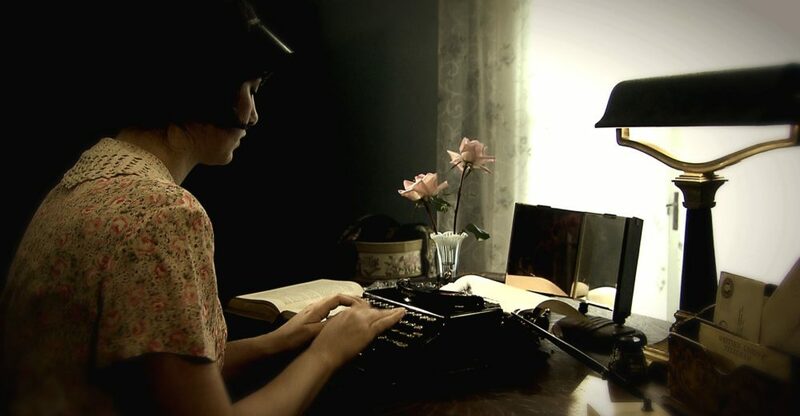 Not pointed like a witch hat, but more like a dark bonnet, brown or black …” Tara shrugged and let her shoulders slump. She could read their expressions perfectly well. The only one that might have believed her at all was Adam and he hardly counted. “It’s just something someone made up to keep kids from wandering up in the woods around the cliffs and getting killed. Those things are damn steep and slippery.” Tony added. “I’m pretty sure you’re not going to die a horrible death any time soon. “Well, I saw someone! I know I did and it was a woman and it looked just like a witch,” Tara persisted. She still couldn’t shake the feeling of cold dread that had run through her when she’d seen whatever it was. “I believe you, Tara,” Adam piped up. She appreciated the vote of confidence from the kid, but what good would it do her? “Thanks,” she muttered all the same, casting a hopeless eye to each of her friends until her gaze came to rest on Tony’s warm brown ones. She pulled it away quickly and turned her back on them to look at the corner of the cemetery that was tucked behind the church. “I’m not sleeping on the ground,” Susan snapped. “Or, we can go up Diamond Road and come around that way,” Tony offered. Tara could practically see the gears in their heads spinning. Susan scowled. “I’m not sleeping on the ground,” she repeated, “and I’m not camping at any gross dump. 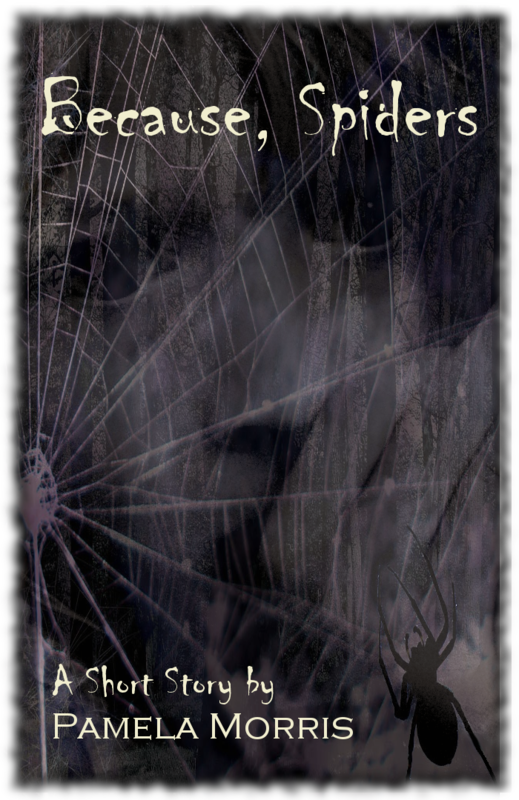 Can you imagine how many rats and bugs are crawling around up there at night?” She gave a full body shudder. “So, don’t go,” Tony replied. “Now, how do we convince the parental units to let us go up there?” Tony asked. “You sure do know a lot about garbage, Fielding,” Susan snorted out a laugh. “You okay with that, Tony?” Danny asked. Tara felt better. Even if they found nothing and even if what she had seen proved to be something completely normal and natural, and even if they were just patronizing her as an excuse to spend a night out in the woods, she was okay with that. This was going to be the camping trip they talked about for years to come.